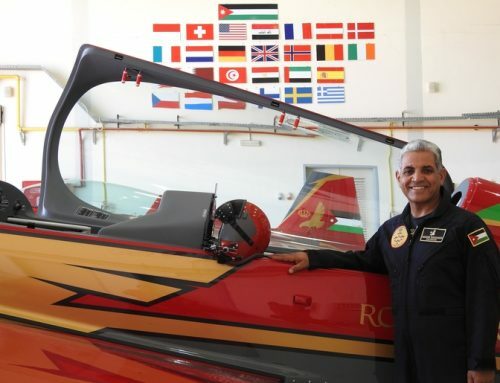 Captain Doraid Al Lawama was born in Amman – Jordan in 1968. He joined the Royal Jordanian Air Force (R.J.A. F) as a flight cadet in 1986 and graduated as a fighter pilot in 1989.In 2005 he received a bachelor’s degree in military science and a master degree of military and management science. And retired in 2017 after 30 years spent in the (R.J.A.F) as Brig.gen. 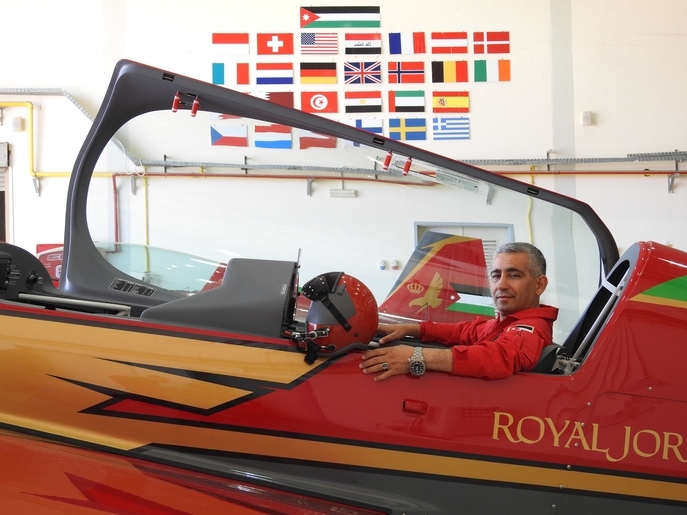 Strategic instructor (Royal Jordanian National Defense College). 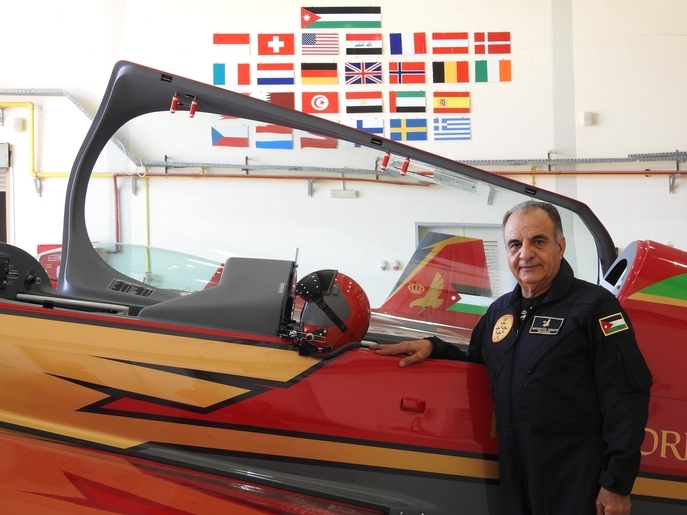 Commander of (Muaffaq Al salty Air Base). 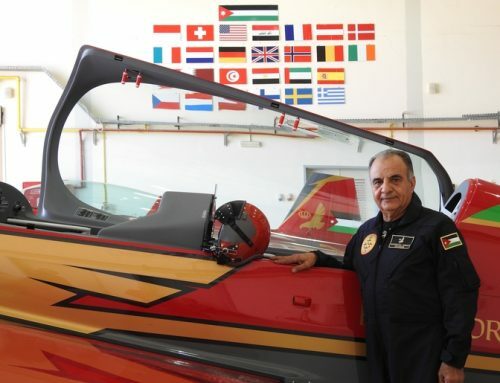 Wing commander of (Muaffaq Al salty Air Base). Chief of standardization and evaluation (directorate of air ops). Squadron Commander (No. 17 Fighter Training Squadron F-5 Aircraft). Squadron Commander (No.4 Basic Training Squadron fire — fly Aircraft). Flight Commander (fighter weapon instructor School — F-5 Aircraft). Flight Commander (No.6 Fighter Squadron — F-5 Aircraft). Basic instructor pilot (Bulldog Aircraft). Advance instructor pilot (Casa 101 Aircraft). Aerobatics instructor pilot (Extra300 –Aircraft). Exchange pilot (Pakistan –T 37 Aircraft). Display pilot (Royal Jordanian falcons) 1996 – 2000. 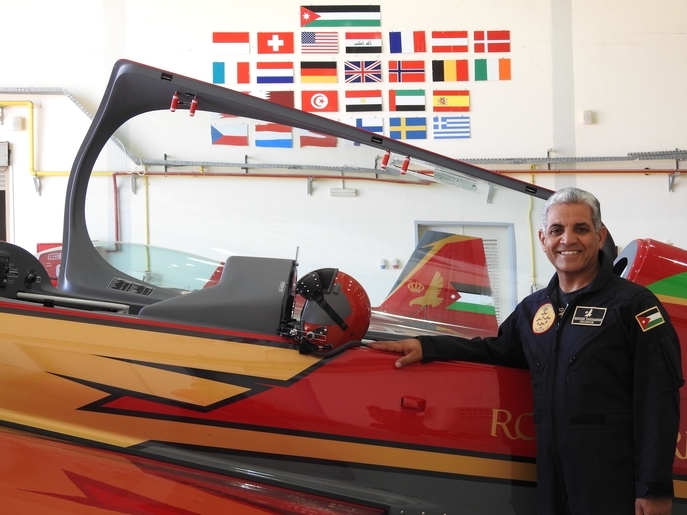 Captain Doraid joined the (Royal Jordanian falcons) in 2017 as a pilot of hawker hunter A/C and display pilot.